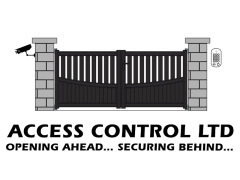 Access Control Limited - Alarms/Security based in Creaton, Northamptonshire. Our services include the installation, repair, maintenance and servicing of all types of Automated Gates, Access Control Equipment, Barriers, Bollards and CCTV providing security and ease of use as well as comprehensive support for those projects which may require a more bespoke solution. We also specialise in providing School Security Gates to help control access to and from school grounds and to help improve safety. Our service is available for both new and existing customers, as well as domestic and commercial systems. The need for entrance security at homes is different from that required at factories or educational institutions. If you are an owner responsible for the automated entry system security at your establishment, you obviously have to weigh up current costs against the benefits of further security or automation. Please contact us in order to discuss your individual requirements and will provide you with a quality solution to meet your needs. From our base in Northamptonshire we service Leicestershire, Nottinghamshire, Warwickshire, Oxfordshire, Buckinghamshire, Bedfordshire and Cambridgeshire. Our service vehicle is equipped to carryout most onsite repairs and servicing whether it be a faulty key pad on a door to rewelding a gate that has been forced open. We work with the most manufatures:- CAME UK, BPT, BFT, Roger Technology, Nice, FAAC, Ditec, Control Freq, Beninica, V2, GiBiDi, DEA, Just to name a few.